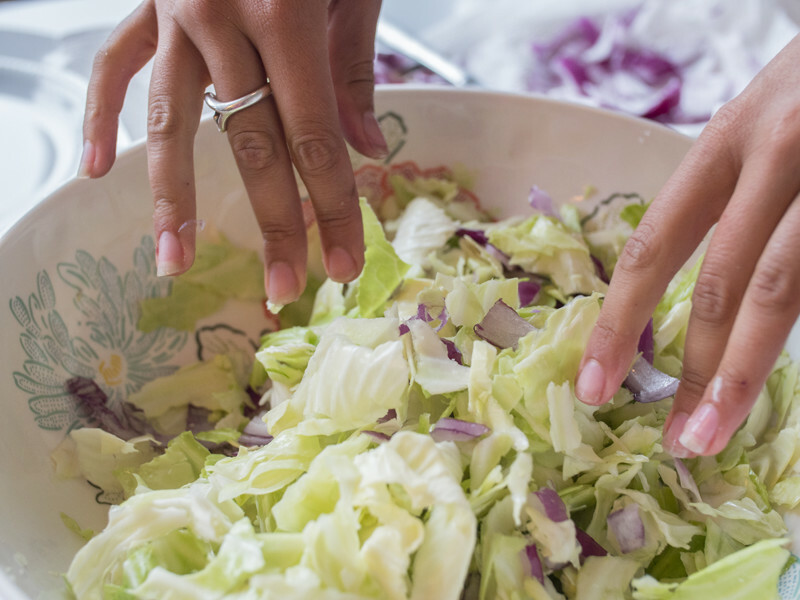 “Slaw” always seems to get a bad rap for being an “unhealthy” side dish at a restaurant, but what if that coleslaw is now made with local cabbage, just a “dab” of mayonnaise and organic chicken? This sounds like a coleslaw salad I would be much more willing to try. If you follow the local food movement and try your best to eat what’s in season, then you are well aware that the market is overflowing with cabbages at the moment, but what exactly to make with all this cabbage can be a bit daunting. 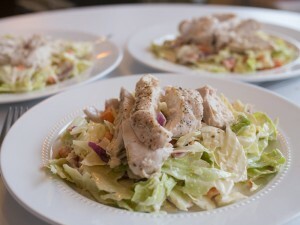 OBC Lunch is kicking off a Green Cabbage and Chicken Coleslaw that is light and refreshing. dash of salt and pepper to taste. 1: Preheat oven to 350. Prepare chicken by drizzling olive oil onto all three chicken breasts, a squirt of lemon and a dash of salt and pepper. Cook for about 25 minutes (time will vary depending on oven). 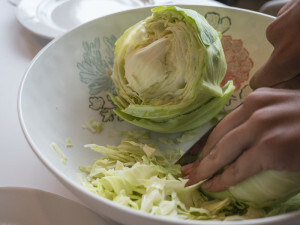 2: Wash and chop cabbage into thin, confetti like pieces, add onion, carrots, apple cider vinegar, celery seeds, salt, sugar and mayonnaise into a large bowl and mix. 3: Once chicken is cooked, cut up into thin slices and mix it into the cabbage coleslaw. Chill for a half hour before serving. Catherine graduated from Simmons College with a degree in Nutrition, Health Promotion and Wellness. As Operations Manger for Organic Bath she educates others on the importance of non toxic, luxury skin care products and helping others understand that beauty and wellness are strongly connected. Catherine loves balancing out her love for luxury and glamour with all things organic and wholesome. She enjoys traveling, being apart of the local food movement and dressing up to spend the night out in the city. Follow her on Instagram @obc_catherine for nutrition, the local Boston food scene and beauty insight. Looks wonderful. Cabbage is so good for us too. This is a light and appealing recipe. Yummy recipe. Think looks really good. I’ll probably add a little more sugar as I like my slaw a little sweeter than most.